Posted on 27, June 2016 by EuropaWire PR Editors | This entry was posted in Germany, Real Estate, Retail, Russia and tagged ECE Russia, Mari shopping center in Moscow, Stefan Zeiselmeier. Bookmark the permalink. 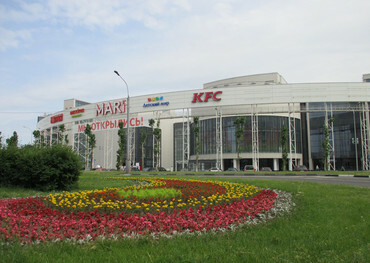 Moscow / Hamburg, 27-Jun-2016 — /EuropaWire/ — ECE Russia has taken over management and leasing for another shopping center, Mari in Moscow. The center is owned by the Russian company FSK Leader. The shopping and entertainment center was opened in 2015. It is located in the south-east of Moscow in the Maryino district between Porechnaya Ulitsa and the banks of the river Moskva. The center totals a leasable area of 50,000 m² and approx. 200 shops. Its anchor tenants include a Victoria supermarket, Detskiy Mir, a specialist for toys, children’s fashion and equipment, and a Mirage cinema. It also offers diverse facilities for sports, leisure and cultural activities. Approximately 1,650 parking spaces are available to its visitors. ECE and the owner aim to reposition the center to significantly increase the low occupancy rate. With the new mandate, ECE keeps growing against the market trend in Russia. Managing six centers on this market totaling more than 1,000 shops on a leasable area of approx. 350,000 m² the company is the largest provider for center management services in Russia and can build on more than ten years of experience in the Russian market.